Inspired by the success of the bicycle sharing model and thinking that “everything on the street can now be shared”, Zhao Shuping, a businessman from Shenzen, founded the Sharing E Umbrella, an umbrella sharing service, in April. 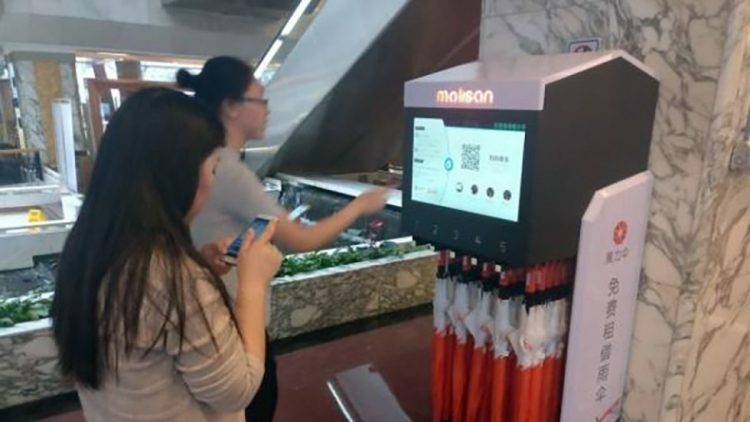 By the end of June, his business had already launched in 11 major Chinese cities, including Shanghai, Nanjing and Guangzhou. But while picking up the umbrellas was relatively simple, as they were made available at bus and subway stations, the return policy turned out to be a different matter entirely. So instead of bothering to return the umbrellas back to a station, a lot of people just took them home, and Sharing E Umbrella has reportedly lost track of most of the 300,000 umbrellas it had in circulation. Considering that borrowing umbrellas requires a 19 yuan deposit, with a fee of 0.50 yuan per half an hour usage, and Zhao estimates that he loses 60 yuan per lost umbrella, the company is now in the red, but the Chinese entrepreneur is not ready to call it quits just yet. Zhao claims that despite the unforeseen setback, Sharing E Umbrella still plans to roll out 30 million nationwide by the end of the year. Interestingly, just last week, a bike sharing company announced that it would be closing down, after losing 90% of its bicycles. I guess the whole sharing economy concept still needs a bit of refinement.